208 pages | 69 B/W Illus. This book deals directly with the risk/return multiple trade-offs coming out of the closely intertwined relationship between banking and real estate. The authors explore how banks could embrace a more proactive approach to make the most of their, mostly ‘long only’, exposure to real estate, and create positive spillover effects on their real estate counterparts and the sector as a whole. It provides a "state of the art" representation and analysis of the strategies that best practices in banking are adopting to manage these issues and plan for a new set of interrelations, driving a "virtuous circle" as opposed to the current one. 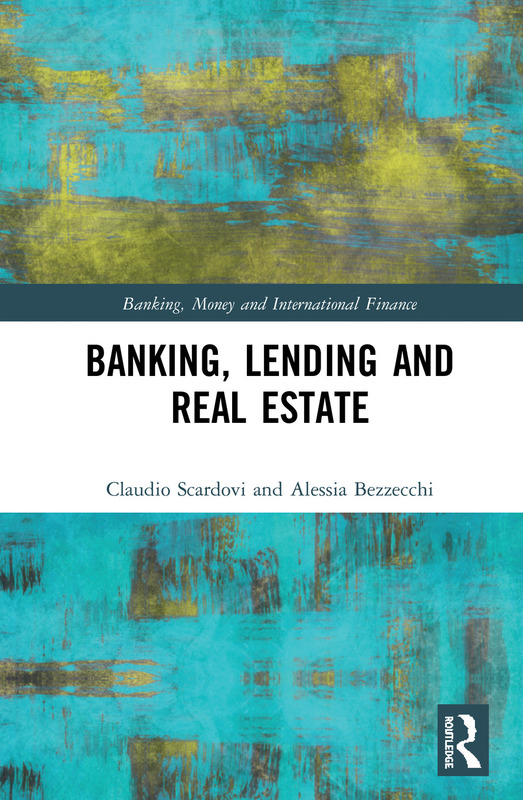 Banking, Lending and Real Estate is built on the academic knowhow and professional expertise of the authors, who have been researching, writing and working on this joint topic for over a decade. With its pragmatic approach, it allows the reader to capture which leading hedge active and holistic approaches are available today and proven to treat, for example, the banks’ overexposure to this asset class; to manage "unlikely to pay" and sub-performing positions; and to optimize the recovery value coming from the work out of real estate related NPL (and underlying assets). Case studies and relevant examples are provided, leveraging on the authors’ experience in consulting projects in the EMEA region and from working with global, regional and domestic banks and the real estate players acting across its value chain. This book will appeal to both academics and business practitioners within the banking, financial services and real estate sectors, as well as professionals from financial and strategic/industrial advisory working in those fields. Claudio Scardovi is a managing director and global co-head of the financial services practice for AlixPartners, a global consultancy focused on restructuring, value recovery, transformation and growth. Claudio has specialized in the financial services sector for the last 24 years, primarily (for 19 years) as managing director and country or regional head of financial services for a number of companies, including KPMG, Accenture, Intervaluenet.com, Oliver Wyman, Lehman Brothers, Nomura, Advent International and AlixPartners. He is also a professor at Bocconi University and at SDA Bocconi, specializing in capital markets, financial systems, restructuring and transformation, and for Imperial College’s master’s in management programme. Author of over 200 articles and papers and 17 books, Claudio is also one of the strategic advisors to the master’s programme at Imperial College in London and is part of the strategic advisory board/Future of Banking for the World Economic Forum. He has also been a board member of Risanamento SpA and Consorzio AMI in Italy.